Event | Calfast's Makita DayWitness AC Power with Cordless Freedom! 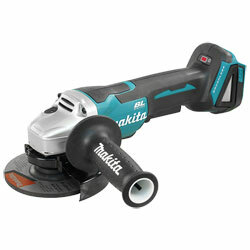 Makita Reps will be on-site for new tool demonstrations and to answer questions! 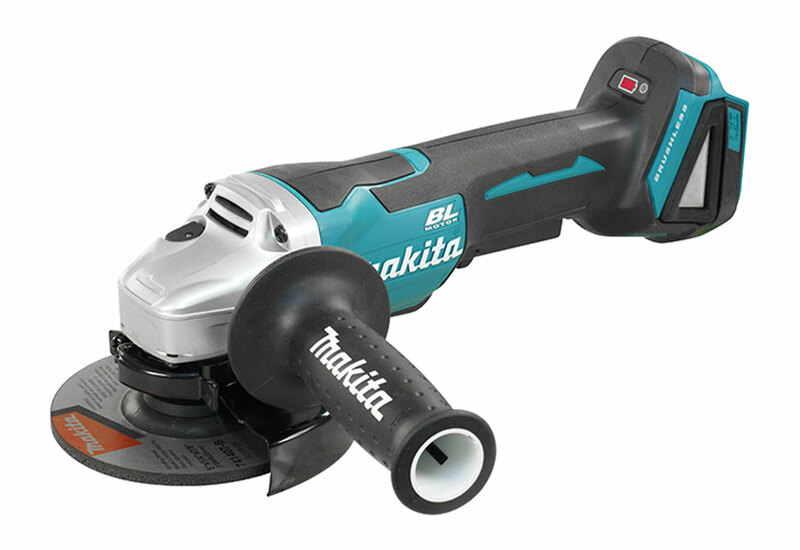 This Makita 5" Cordless Angle Grinder with Brushless Motor is built for High Performance And Efficiency in Heavy-Duty Grinding Applications. Built with Integrated dust screens that act as additional protection against dust, dirt and debris. The tool's eXtreme Protection Technology (XPT) offers maximum protection against dust, debris, and liquids for optimal performance in extreme conditions. **LED charge level indicator displays approximate remaining battery power! There is a battery protection system that provides over-discharge, temperature and circuit protection for enhanced performance, battery cycle life, and overall battery life. The Soft start feature gradually increases speed to eliminate start up shock and the Electronic current limiter protects motor from accidental overload. Includes an improved ergonomic soft RUBBER grip that absorbs vibration, and has a re-contoured rear grip portion and ribbed grip for improved hold and comfortable operation. Anti-restart feature prevents accidental start up of tool during battery changing when switch is locked in the on position! The Grinder's Automatic torque Drive Technology (ADT) feature adjusts the torque and speed according to the load condition, enabling rapid movement between high speed and high torque applications. The brushless DC motor has a high ratio of power-to-weight and size, and the motor generates less heat buildup, making it ideal for prolonged use in manufacturing / production jobs. The TOOL ONLY option is sold without Batteries.